More than 72 vendors met with 16 corporate buyers representing companies and organizations like EA Sports, Verizon, Akerman, Universal Orlando, Massey Communications, and Skanska at the 2nd annual Florida TechMatch. TechMatch, hosted by Orange County and Echo Interaction Group, is an event that gives local technology companies the chance to build relationships with national industry leaders. "As I grew my tech strategy and mobile app development company, Echo Interaction Group, I realized that relationship building and networking helped me land some of my largest customers," said Carlos Carbonell, CEO of Echo Interaction Group and co-host of the TechMatch. "Sometimes all a growing tech startup needs to succeed and grow is product validation, relationship partners and customers. Focusing on local partnerships may be the catalyst for incredible growth for a lot of startups and growing tech businesses. Buying local, mentorship, and business relationship building is the key to our success." One company taking advantage of TechMatch included Fattmerchant, which started out of the Orlando tech co-working space Canvs. The company now serves thousands of customers worldwide through direct cost credit card processing. Fattmerchant was just one of the 72 local Orlando vendors given the opportunity to sit down with major corporate buyers to not only sell their companies, but discuss how they can foster future collaboration. 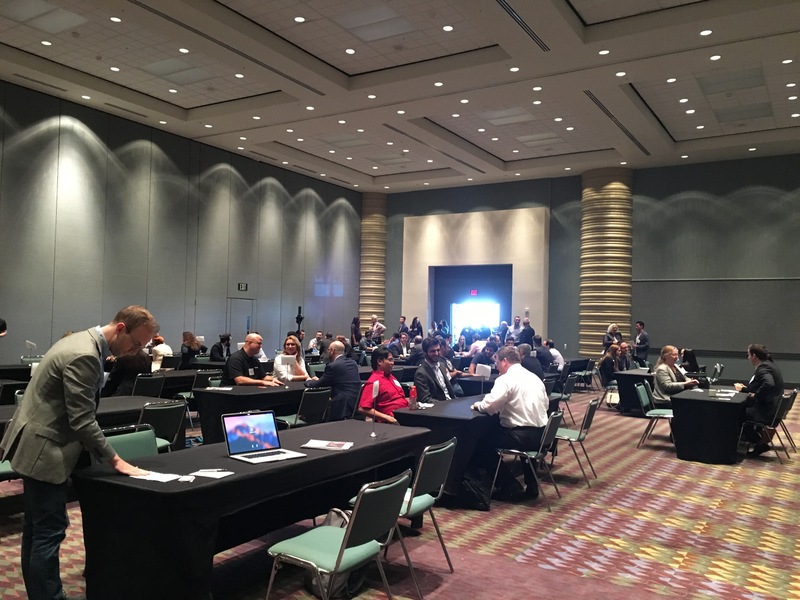 “Techmatch is a remarkable experience in which small companies are able to directly do business with large enterprise companies in Orlando,” said Suneera Madhani, CEO and founder of Fattmerchant. Organized like a speed dating service, each corporate buyer had 11 different 15-minute meetings with the local vendors. The vendors ranged from digital marketing and web development vendors like 5ifty & 5ive, PRPL, Envy Labs, Cognificent and On Target, to software companies like Simblock.io, based in UCF’s Research Park and selling to Orlando’s large number of Modeling, Simulation, and Training (MS&T) companies. “TechMatch opens the door to meet with folks that I could never otherwise get 15 minutes with because of their busy schedules,” said Bernie Mapili, CFO of Envy Labs. Joshua Walker, CEO of Cognificent, agreed. “Meeting with corporate buyers can be make-or-break for young companies. It gets you in the door with senior leaders that you wouldn't normally get to meet and talk to." 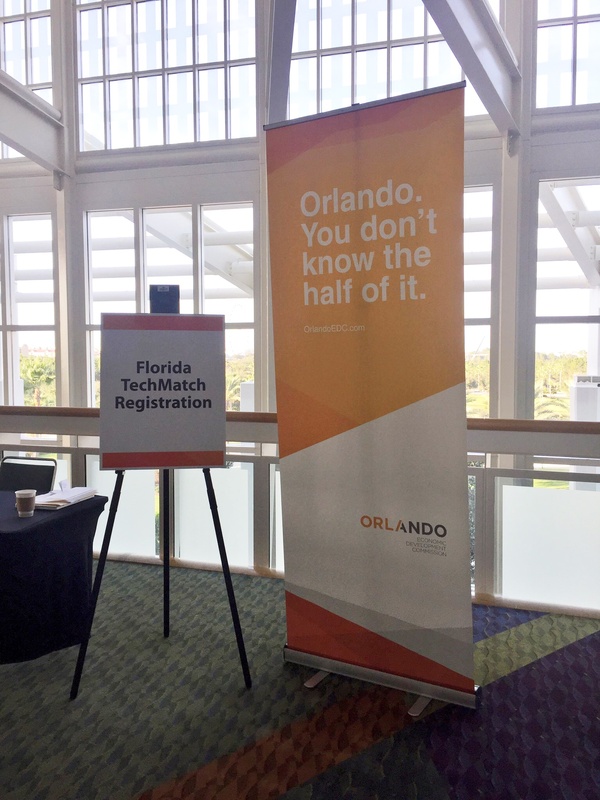 The vendors agreed that the quality of the connections gained from TechMatch was crucial to future success for small companies and start-ups in the Orlando area. More about the Orlando tech community at www.orlandoedc.com/tech.